A new randomized laboratory study in people of the drug baclofen shows that it did not reduce alcohol craving or consumption in anxious individuals with alcohol dependence, but that it did boost their sense of intoxication, suggesting a possible role in treatment as an alcohol substitute. The muscle-relaxant drug Baclofen has been suggested as a potential drug therapy for alcohol-use disorder, but previous clinical studies have generated conflicting results. With this in mind, researchers recently undertook to measure the impact of the drug on the behavior of anxious, alcohol-dependent individuals. The team was led by Lorenzo Leggio, M.D., Ph.D., M.Sc., a 2010 NARSAD Young Investigator who is Chief of the Section on Clinical Psychoneuroendocrinology and Neuropsycho-pharmacology (CPN), a joint laboratory of the National Institute on Alcohol Abuse and Alcoholism (NIAA) and the National Institute on Drug Abuse (NIDA). 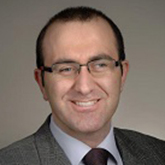 The first author on the paper is Mehdi Farokhnia, M.D., a postdoctoral Fellow in the NIAAA/NIDA CPN Section. The team performed a randomized, double-blind, placebo-controlled study, enrolling 39 anxious people with alcohol dependence who had not sought treatment for their problem. Participants received baclofen (30 mg per day) or placebo for at least 8 days, then participated in an experimental session where they were first “cued” to drink with the smells, sounds and sights of alcoholic beverages and then allowed to drink up to a prescribed amount. The experimental session took place in a lab setting that featured cues associated with a bar. The researchers wanted to know how much the subjects craved alcohol, how much alcohol they actually consumed, and various behavioral measures including physiological responses and mood and anxiety symptoms. The team assessed that the drug had no impact on how much alcohol the participants drank. Yet those in the treatment group did experience increased feelings of intoxication and “high,” and had lower heart rates than those in the placebo group. Researchers determined these results “do not support an anti-craving or anti-reinforcing effect of baclofen, but rather suggest that baclofen may act as a substitution therapy for alcohol use disorder,” and therefore should be studied further. This research is based on knowledge of a neurotransmitter system, called GABA, that modulates acute and chronic pharmacological and behavioral effects of alcohol and is involved in various stages of addiction. Docking ports on nerve cells for GABA are widely expressed in brain regions involved in alcohol intake and reinforcement (for example, ventral tegmental area, amygdala, hippocampus, prefrontal cortex). In particular, a variant of the GABA receptor called the GABA-B receptor has been investigated as a “druggable” target for alcohol use disorder. The drug tested in the newly reported trial, baclofen, is a selective activator of the GABA-B receptor.